Palma de Mallorca honours its patron saint Sant Sebastià on January 20th. The festive day is celebrated with a massive correfoc (fire run), numerous foguerons (bonfires) and a string of revetlles (open air music performances). No such distinction is inflicted upon Sant Fabià (Saint Fabianus) who shares the same saint day but is not deemed Palma’s patron saint even though he was a pope from 236-250. 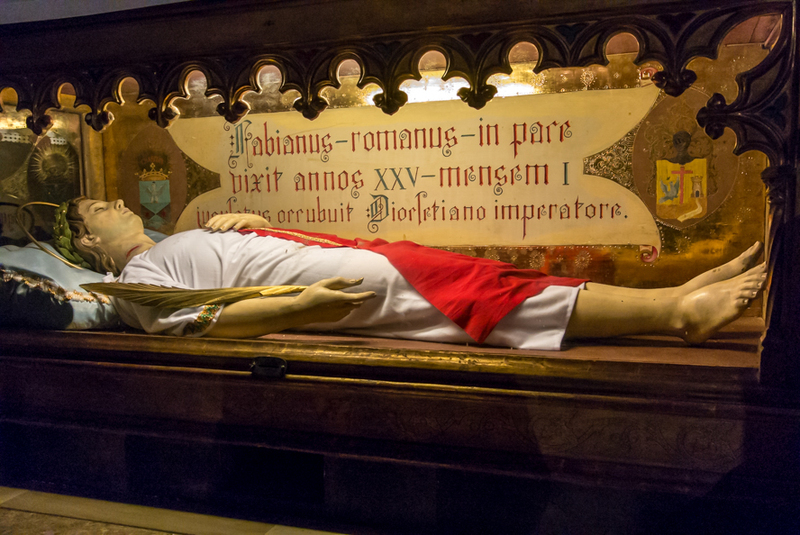 You can find a rather impressive memorial shrine in his honour at the Església de Sant Miquel in Palma. The photo was taken in Palma de Mallorca, Baleares, Spain. The date: January 9th, 2013.